It’s the 1930s, the glory days of radio. Radio dramas are thriving! Well, everywhere except Portland’s local station KOD. This run-down station is struggling to stay on the air. After receiving a cease-and-desist letter, the long-running show “Stan Shade, Private Eye” must come to an end. In an effort to save the station, owner Fredrick Glass has secretly worked out a deal to become an NBC affiliate. All he has to do is introduce a new hit show that will keep the advertisers happy until the contract is signed. Finally, all the success Fred has always wanted... that is, if he can keep it a secret from the employees to prevent them messing everything up. Egotistical, rising-star Jack, knowing the new show is his big break, demands a younger leading lady. He mistakes Nora, a young intern related and sent by the NBC executive brokering Fred’s deal, for his new actress and assigns her the leading role. Unfortunately, as far as acting talent goes, she has none. Meanwhile, Virginia Moorehead, the station’s seasoned actress, who’s keeping a few secrets of her own, returns from lunch and learns she’s been demoted. She quits and storms off. William Wells, the legendary, veteran leading man, begins to fall apart, unable to handle being cast as the co-starring villain of the new show. Lester Foley, the station’s gopher and sound effects artist becomes immediately and awkwardly smitten with Nora. Leaving Agnes, the station’s all-purpose secretary, assistant, and copywriter, to try to hold everything together, but only if she is made an equal partner. Madcap comedy ensues with a wild and raucous “on-air” finale. Will the new show be a success? Will Agnes save the day? 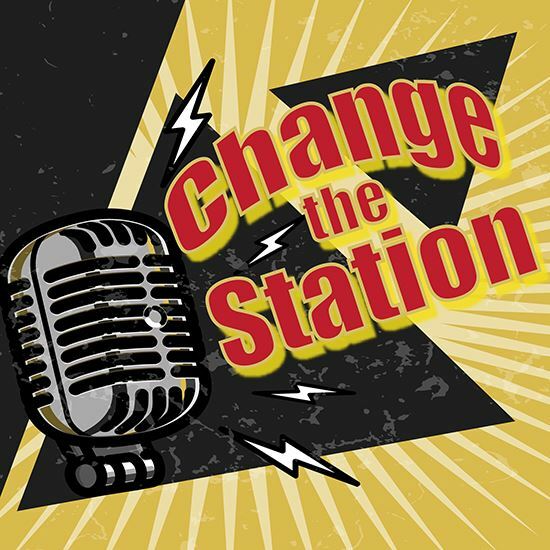 Will Fred be able to change the station? A: Some of us were cast in productions of “The 39 Steps” and “Bullshot Crummond” with the same director. He saw something in the actors and had always wanted to form an acting troupe and produce a play from farm to table. This play was the end result of his dream. Q: WHAT'S YOUR FAVORITE PART OR LINE IN THE PLAY? The epilogue. I’m a big fan of epilogues in general. I dislike not knowing what happens to the characters after the blackout. This one is fantastic. Equal parts callback, comedy, and closure. The prologue is pretty good too and was the catalyst for the script. Q: WHERE DID THE CHARACTERS COME FROM? ARE THEY BASED ON PEOPLE YOU KNOW? A: In some respect, the play was cast before the play was finished. In a comedy troupe you can’t help but write with some aspect of the members in mind. Other than that, there was definite homage paid to David Ogden Stiers in the William Wells character. We wanted to capture the zaniness of “Noises Off” with the family troupe feeling of “The Carol Burnett Show.” Mostly, we wanted a well put together comedy.